Star Trek credits: passing stars get bigger and nearly "brush the top of your head", but wouldn't it look more like a flat 2D animation with dots simply rearranging? Star Wars hyperdrive: stars appear as perfect line segments that point exactly away from the center during the "whoosh", but doesn't the sky change constellation shapes based on your vantage point, making the lines more irregular? Wouldn't the oddness of time and length transformation cause severe warping of light entering the window of your vessel, eg, I recall seeing a physics talk about seeing the back of an object before you passed it. Has anyone assembled a realistic video of FTL travel through the window of a ship? 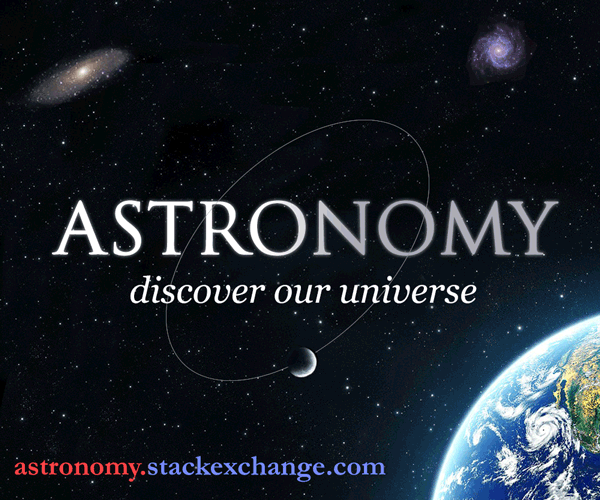 This question came from our site for astronomers and astrophysicists. Star Treck's warp drive assumes being able to establish a warp bubble around the space vessel to move slower than light in the local space, but faster than light in the surrounding space, to work around the limitations of special relativity. A warp bubble would show some similarity to a worm hole. To get an idea of spacetime distortion caused by a wormhole you may like to watch some of the videos the University of Tübingen (Germany) is hosting. The same site provides a simulation of a walk through the city with just below the speed of light. In both cases you get visual geometric distortions. But you get changes of the color by the relativistic Doppler shift, too, as simulated here. When travelling faster than light you would get additional strange effects, depending on the method you overcome the speed of light barrier. One well-known effect is Cherenkov radiation caused by charged particles travelling faster than the speed of the light in the medium, which may still be slower the vacuum speed of light. Vacuum speed of light in a flat spacetime can only be achieved by massless particles like photons. Particles moving faster than the vaccum speed of light (tachyons) have been hypothesized, but have not yet been found. Overcoming the speed of light would resemble somewhat falling into a black hole. When faster than light, light cannot reach you from the back. So this region would look black. Travelling faster than light in a medium is physically feasible, at least for subatomic particles. Travelling with the vacuum speed of light or faster leads to serious problems, with the exact vacuum speed of light being the biggest challenge, since you either need to get rid of your rest mass, if travelling in flat space, or you need to warp spacetime. The latter needs huge amounts of energy causing devastating damage to the environment. Our most realistic, but completely hypothetical, method for going FTL is a warp bubble generated by an Alcubierre drive. While in a warp bubble, passengers would be causally disconnected from the rest of the universe. This means that no stars would be visible at all, since no outside light would be able to reach the passengers. It could look like an event horizon, meaning true black with some Hawking radiation in IR wavelengths. Or the warped space-time could act like a mirror, reflecting photons from the ship back in a distorted way. Or there could be some accretion effects on the boundary layer, with trapped particles being accelerated until they start to emit radiation, which would mean a nice (but possibly dangerous) light show. The scientific answer: totally dark at the front, as light has been blue shifted out of visible range (you'd need a deflector anyway to prevent fatal radiation as you move), then a very bright ring around you perdendicular to the direction of travel. This ring is made up of blue stars at the front, intensely bright dense white stars, then red at the back of the ring. Then dark behind you as red shifted out of visible (you'd need a deflector anyway to prevent fatal radiation as you slow). The ring is predominantly stars to the rear of you, but they've been lensed to appear at the side of (and above/below) you. You'd also only see this while accelerating and decelerating as while actually at the speed of light you'd see nothing because no time would pass in your timeframe. You'd experience a jump into the future, but the only way to tell would be by taking some readings. I don't see why stars would be stretched into lines, but the light of stars ahead would be blue-shifted and those behind would disappear entirely. The extent of the blue shift would obviously depend on speed you were traveling. It would probably be very subtle to the naked eye as stars mostly look like white dots and as the higher frequency light was shifted beyond the visible spectrum, infra-red light would be shifted into the visible spectrum. How to Demonstrate that FTL Travel Violates Causality? How would advanced aliens protect themselves from idiots with FTL? FTL travel is impossible. How is interstellar trade possible? How cheap would FTL have to get to be practical?